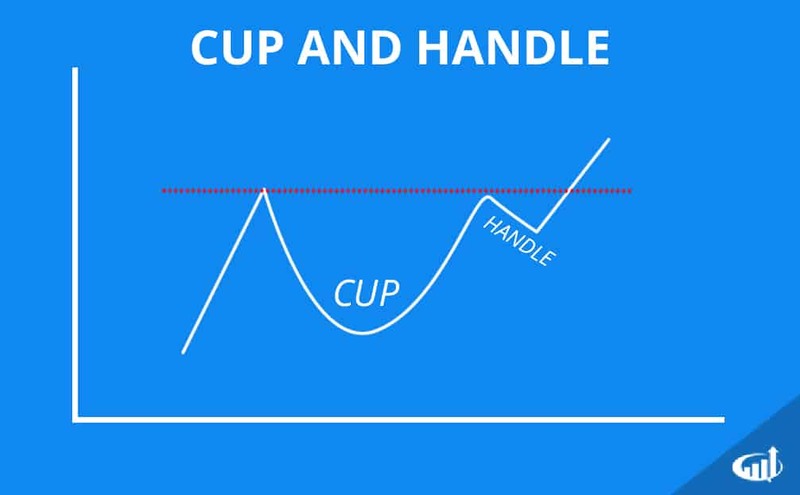 Cup and handles are two part patterns that start with a peak that sells off and forms a rounding U shape recovery back to the prior high where the sell-off began also known as the lip of the cup. The price rejects forming a double top as a bull flag reversion forms the handle. When the bull flag triggers spiking the price through the lip, the cup and handle pattern is triggered the trend resumes the next leg higher with new highs. Usually cup and handles are considered bullish patterns. However, the bearish version can form when the pattern is inverted. The inverted cup and handle is the opposite version of bullish cup and handle. The formation starts with at the lows as price recovers to form a rounding top like an upside U shape before selling off to form a bear flag. When the price re-tests the low, it attempts one more reversion bounce that ultimately falls back down through the lip (double bottom) triggering a bear flag breakdown that resumes the downtrend as prices make new lows.